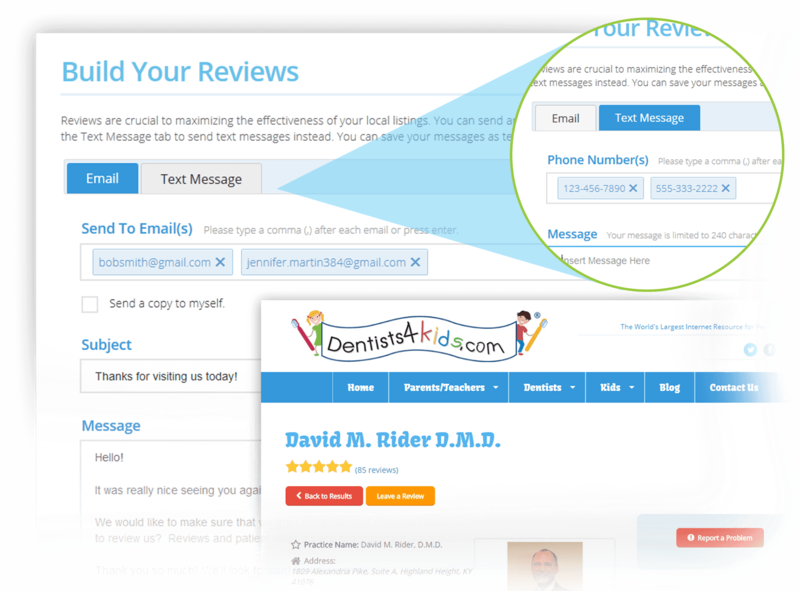 Build reviews on the world’s largest pediatric dentist directory, Dentists4kids.com. Use our powerful tool to build and manage your reputation with Dentists4kids.com and your featured listing. Negative reviews are directed straight to your office, not your public listing. Positive reviews go live immediately. Connect to patient reminder systems like Lighthouse 360, Demandforce and SolutionReach. Conveniently send review requests to patients by text or email. Receive an email when a new review is posted within 24 hours. 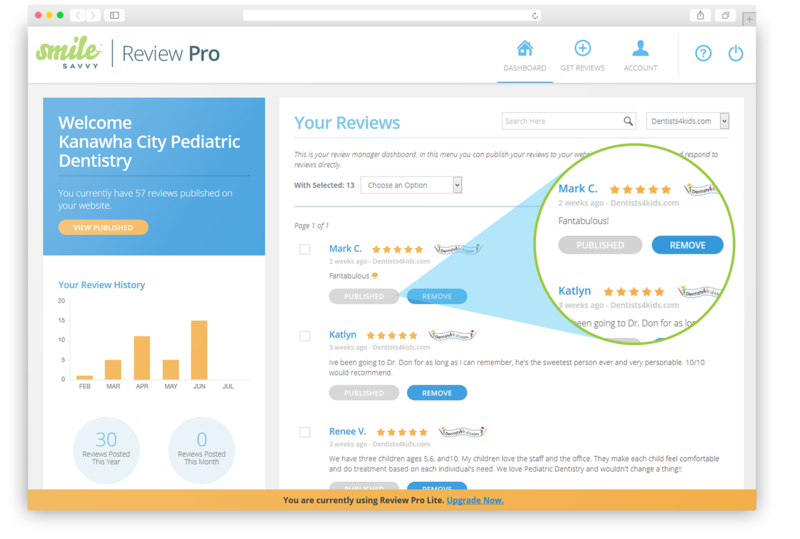 Hand-pick the reviews you want to display on your website for everyone to see. Use our graphs and tools to determine the best times to build reviews for your practice. Interested in managing your reputation on more than just Dentists4kids.com? Check out Review Pro to build positive reviews on Google, Yelp, Facebook and more!